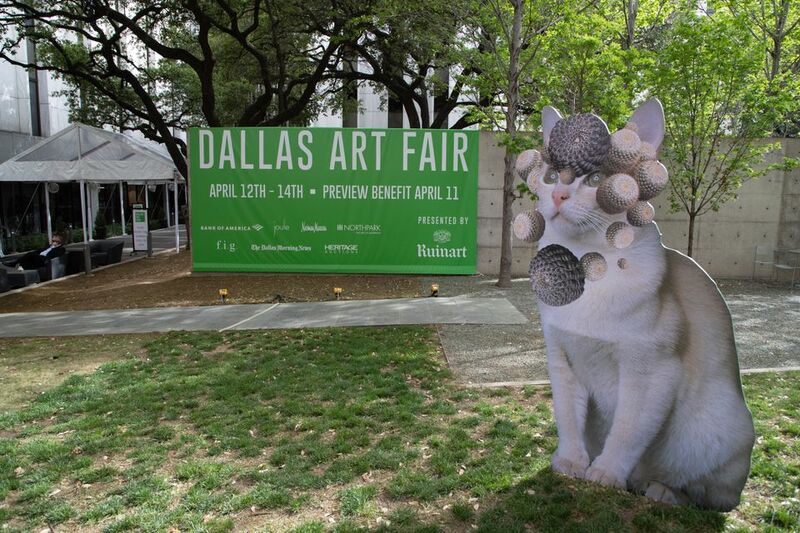 Sculptural cutouts of cats collaged with cacti photos greet visitors outside of the 11th edition of the Dallas Art Fair, which opens to the public today, and these photogenic felines by Chicago-based artist Stephen Eichhorn are a fitting introduction to the scene inside. As art fairs go, this is a fun and relatively unpretentious one, known for showcasing emerging galleries beside heavy-hitters, though the blue-chip turnover rate trends higher. The current 95 booths, however, house big British-based newcomers like Lisson Gallery, Sadie Coles HQ and Blain Southern. For most galleries, the opportunity to tap into this booming collector base is the fair’s biggest allure. “We came because we want to meet people here,” says Lieselotte Seaton, the sales director at Sadie Coles HQ, which sold works by Jordan Wolfson, Laura Owens and Ugo Rondinone during yesterday’s VIP preview. Lisson Gallery says it also immediately sold several works to Dallas clients—including a looping video by Cory Arcangel for $60,000—and many had others on hold. The fair’s roster has had some notable absences in the last couple of editions. Gagosian, Lehmann Maupin and Kasmin gallery are a few of the global heavyweights who declined to return after just one visit. But these departures can likely be attributed more to the fickle nature of art fairs rather than to concerns specific to the Dallas art market, Carrie Secrist gallery, which represents Eichhorn and has attended the fair every year since its inception says “Dallas has some of the best collectors in the country, if not the world”, noting that sales have consistently been strong. “There are moments of fair fatigue elsewhere, and Dallas has been relatively untouched by that,” she says. Erin Cluley's booth at this year's fair. 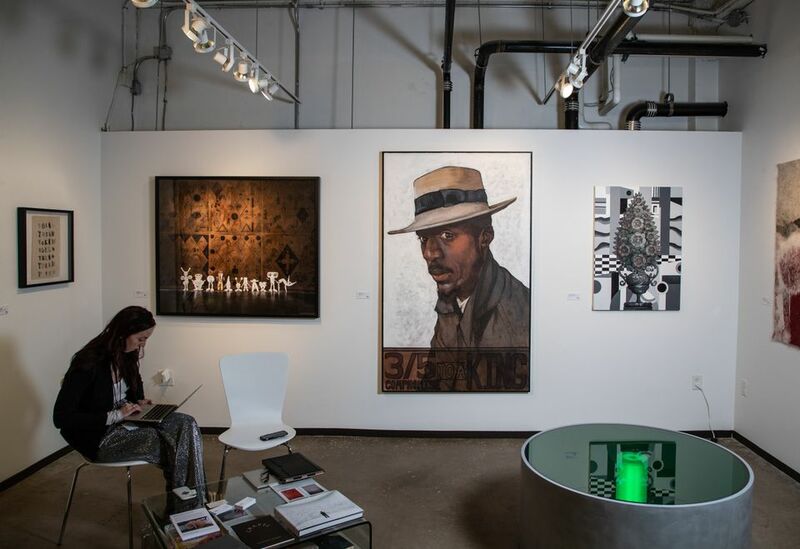 Photo by Exploredinary, courtesy of the Dallas Art Fair. Among those who came back after a successful debut last year are James Cohan, Rachel Uffner and Van Doren Waxter, who all cite the city’s supportive community as a major draw. “We were surprised by the level of engagement from seasoned and new buyers last year,” says Augusto Arbizo, a partner at Van Doren Waxter. “There’s a tradition of patronage, and it seems that’s been instilled in a younger generation.” The gallery has sold three works to private collections, including a Richard Diebenkorn gouache ($200-$250,000) and an early work on paper by Anne Truitt ($30-$40,000). For Dallas-based dealer Erin Cluley, here for her fourth year, the fair is more than a sales opportunity; she describes it as “a relationship fair,” ripe for networking, adding that “you can sense the fair’s investment in the art community”. Installation view of Galleri Urbane's booth. It is clear that the fair’s organisers are determined to maintain this sense of investment in the city. 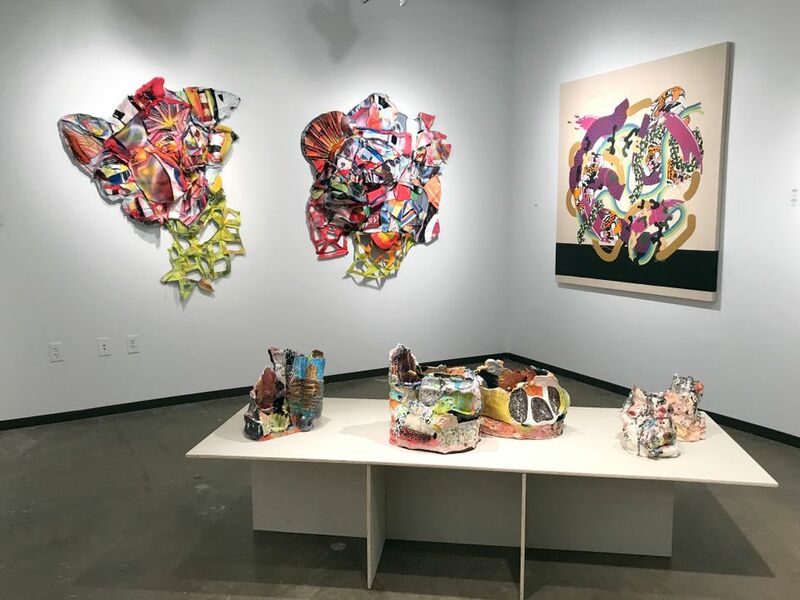 The fair recently launched 214 Projects, its own permanent, year-round exhibition space; since 2016, it has granted the Dallas Museum of Art funds to shop at the fair. With a budget of $150,000 this year, the institution bought eight works by artists like Sheila Hicks, Don Dudley and Nobutaka Aozaki. Chris Dorland of New York’s Magenta Plains, which represents Dudley, notes that collectors have since expressed great interest in the acrylic-on-plywood works.